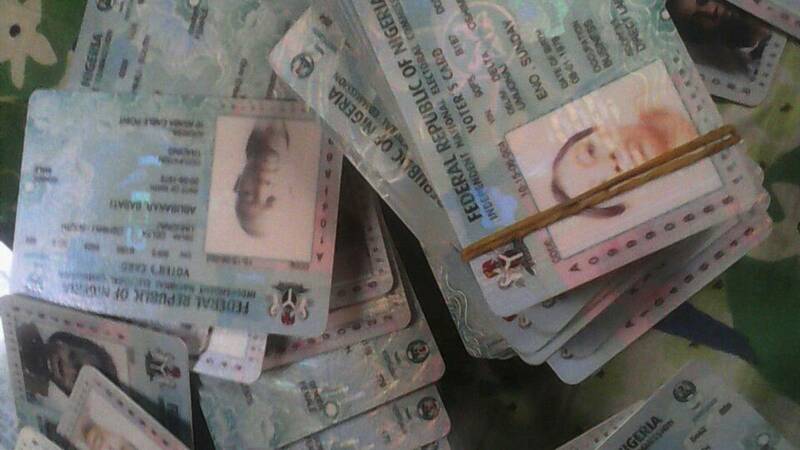 We are aware of a conjectured write up and false alarm by the Kwara state chapter of the People's Democratic Party, PDP, under the supreme leadership of Senate President Bukola Saraki, claiming 'some staff of a privately owned radio station owned by a gubernatorial aspirant have been engaging themselves in house to house collection of PVCs'. Understanding clearly that Mal. Lukman Olayiwola Mustapha is the only APC gubernatorial aspirant that owns a radio station makes it sacrosanct for us to properly situate things and debunk the unfound tales of the deceptive party and it's confused leaders. The latest outburst by the Kwara PDP over purported house to house collection of PVCs by staff of a radio station is thus a continuation of their "pull him down strategies' in motion against Mal. Lukman Olayiwola Mustapha, the Chairman Board of Trustees of Sobi FM, opposition stalwart and leading gubernatorial aspirant, which is dead on arrival like the previous ones. We wish to emphatically say that Sobi 101.9 FM was conceptualized by Mal. Lukman Olayiwola Mustapha to cause a social rebirth and would do nothing inimical to a mandate it uphold. Sobi FM is a radio station and a business entity separate from its principal's political ambition and its staff have no business whatsoever collecting PVCs, we dare the Kwara PDP to provide evidence of their claims, because to us, the outburst is a fowl cry to retaliate the exposure of their political and governmental misdoings by the radio station. They may continue trying hard to malign Mal. Lukman Olayiwola Mustapha and his radio station, Sobi FM. But that would neither deter Mal. Lukman Olayiwola Mustapha from maintaining his antagonistic posture against political infidelity and misgovernance under PDP's leadership that have left Kwara state on the backtrack among comity of state, nor will it stop Sobi FM from airing it's pro-people contents. It is a popular fact that the present crop of politicians at the helm of affair in Kwara state are serial liars that will always swim in the mud to gain unwarranted sympathy and unmerited public confidence and one of their major strategy recently, is orchestrating propaganda and spreading falsehood against dreaded political enemies like Mal.Lukman Olayiwola Mustapha whom have posed serious threat to the continuity of their misgovernance and gross maladministration of Kwara state. We aren't unaware of how they have mischievously deployed their social media machenaries to peddle propagandas and label the person of Mal Lukman Olayiwola Mustapha and Sobi FM, since the radio station exposed their election malpractices during the 2017 local government elections and promoting social consciousness and political awareness which is threatening to sustenance of the political dynasty that has only subjected Kwarans to sufferings and abject poverty. Since Mal. Lukman Olayiwola Mustapha unveil his intention to run for the gubernatorial seat in Kwara state, which is largely welcomed with supports from Kwara across social and economic divides, the status quo and their co travellers have remained in confusion and desperately trying to stop him with cheap blackmails and even demolition of his house. They've also made ceaseless attempts through written petitions to the NBC, high wired networking to stall Sobi FM operations and even trying to use state machineries to gauge Sobi FM's pro-masses contents which have always end in futility.